The SBS period drama series “Daebak” kicked off with top viewer ratings, beating its competitors in the 10 p.m. prime-time slot. As of Monday, the drama hit a viewership of 11.8 percent on its first episode, according to Nielsen Korea. Close behind followed “My Lawyer Mr. Jo” starring Park Shin-yang, with 10.1 percent viewer ratings. 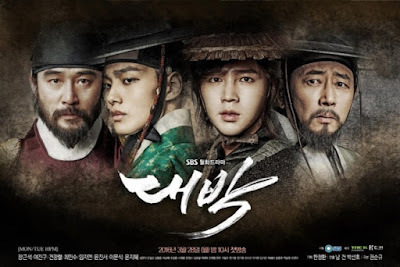 “Daebak” featuring actor Yeo Jin-goo, Jang Geun-suk, and Yoon Jin-seo, is a fictional historical drama based on the time of King Sukjong. The drama airs every Monday and Tuesday at 10 p.m. on SBS TV.